God Given 12/1, Magical Memory 7/2 and Jungle Cat 11/8 – VG Tips winners on Saturday | Check out VGTips.co.uk! No punter has a god given right to beat the bookie. But some do it better than others. On Saturday, I was delighted to hear back from my lovely members at VG Tips. They were happy that we’d backed three good priced winners from the four races I had analysed on their behalf. Brian tweeted: “BOOM! God Given 12/1 – Get In There… BOOOOM! – Absolutely Magical  Magical Memory… Great Service, Vernon. No need to cross fingers, Alex. Jungle Cat, my win NAP, duly obliged at Haydock Park on Saturday evening. You can watch the finish to that race at the foot of this post. 11/8 when selected for members, here is what I said to them via my analysis the day before racing. “This race represents a mighty drop in class for Jungle Cat. Beaten only a head in a Listed contest most recently, the Godolphin horse has previously finished second in a Class 1, Group 3 race beaten only half a length by Home of the Brave – a winner for us on the first day of July. Those were the first two home. Jungle Cat beating Ibn Malik by 5 lengths. The SP price was a mere 8/13. Bet early to avoid disappointment! It was VG Tips member Alex, mentioned above, who got me thinking the other day about the whole NAP issue. Alex was concerned that I sometimes analysed too many races on the busiest of racing days, namely a Saturday. I try not to. I am keen to do what I tell members to do, be selective with the selections. It’s not my fault that the racing authorities now choose to put all their best eggs in the basket called Saturday. 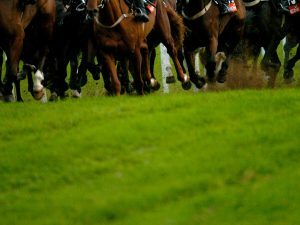 Outside of feature meetings such as Cheltenham or Ascot, the majority of early to midweek racing these days is dire, and should be avoided by those who want to be profitable punters. But Alex had a point. There can be a lot to take in on the busiest days of racing. I know. I spend countless hours studying the different meetings and the form of those entered to race. So how could I please Alex and those who only want two or three bets, maximum, on a Saturday? I could go back to simply stating at the foot of the e-mail and members’ enclosure post the tips I prefer. Or I could NAP a win selection and NAP an each way selection or two. The potential downside to either is that on any given day of racing, the NAPS or favourite bets might lose, while all the others win. Then I look like a dipstick. Or worse! It happens. But I always try to address matters raised by followers. So I have reinstated NAPS. Now I am not stuffy when it comes to such things. Some punters think tipsters should offer only one NAP per day. Nonsense. If there are two or three selections about which I feel very confident – as was the case on Saturday – I will offer more than one NAP, be they at the same or different racecourses. It is the simplest way of expressing my level of confidence in a tip. I beg members to take time out and read carefully my in depth analysis, but some people do not have the time to do so. If NAPS solve the indecision problem, then they might be of help to Alex and others. When they win, that is. On days when there is nothing I fancy strongly, if at all, I tell members precisely that. The most common mistake punters make is that they bet too often. They bet for the sake of betting. Don’t do it! On Saturday, both the win only and each way NAPS won. God Given was widely available at odds of 12/1 when I sent members my selections on Friday afternoon. Above you can watch him win the Listed Aphrodite Stakes at Newmarket at an SP price of 9/1. The lovely grey called Magical Memory, a winner for members in 2016, duly obliged again when winning the Group 3 Hackwood Stakes with something to spare. The early price of 7/2 was still available just before the race went off. Frankie Dettori rode Magical Memory to victory on soft ground at SP odds of 3/1. Watch that race below. Now the change in the ground conditions led to one member messaging me on Saturday morning to ask if I still felt confident about the tips following the deluge of overnight rain that fell at Newbury and Newmarket. I e-mailed him personally to say I was happy with all the selections except those in the 3.35 at Newbury, for which soft ground looked to be a negative. I told him that if he had not already placed a bet in that race, to leave it alone. The 3.35 race, the Class 2 Super Sprint Stakes, was one that Yorkshire based trainer Richard Fahey had already won twice in the previous four years. He entered five horses into that race and the eventual easy winner, Bengali Boys, had been seriously considered by me and was mentioned in despatches. But I had opted for a couple of his stablemates at varying prices. As Fahey admitted after the race, there was no reason to know Bengali Boys would love the soft ground on the day. His previous form, all at a much lower grade of racing, had been on Good to Firm or Good ground. But he won going away and might be one to make a note of for the future. Such days make up for those when horses make fools of us punters. Thankfully, at VG Tips, those days are outnumbered by those when we beat the bookie. As I am keen to tell anyone who truly wants to listen…profitable punting is a marathon and not a sprint. That is why I choose to judge my own success over the course of 12 months. Already in July, most notably at the high grade Newmarket meeting, we’ve won big races at big prices – one by the margin of a nostril. We’ve lost big races by the margin of a short head. But overall, yet again, my sensible members who know that less is more when it comes to how often you should bet; they’re already well ahead of the bookie this month. Until the end of July you can join VG Tips for only £10. That offer will see you receive selections at the feature meetings that will soon be upon us. Meetings such as Glorious Goodwood in August. More immediately, we can look forward to one of my favourite flat races, the King George VI and Queen Elizabeth Stakes at Ascot on July 29th. The £10 offer ends after racing that day. So why not pay a visit to the home of profitable punting right now. Scroll down at the sign up page and look for the £10 July Special Offer. And, let us not forget, it also includes my football tips for the very first weeks of the new domestic English league season. I look forward to welcoming you to VG Tips.